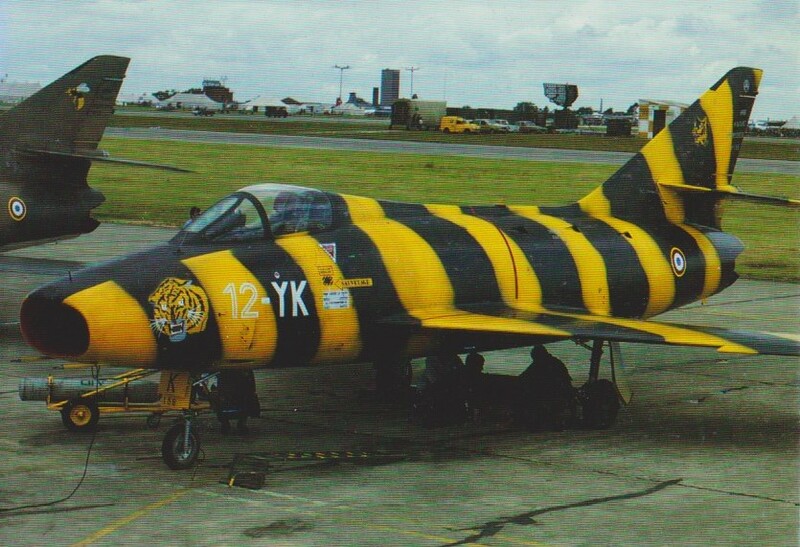 The Super-Mystere shared only a common design origin with the Mystere fighter series, being an entirely new type. 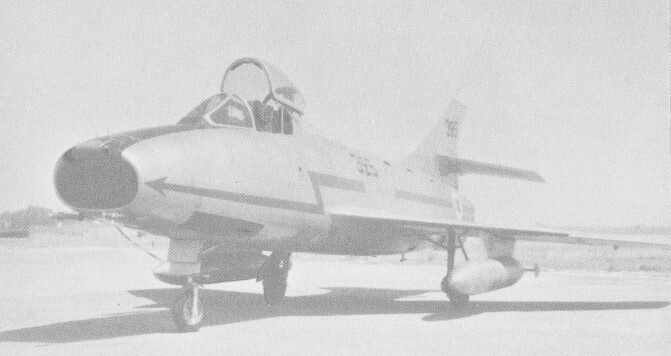 The first prototype, designated Super-Mystere B1 and powered by a Rolls-Royce Avon RA 7R with an afterburning thrust of 4330kg, was flown on 2 March 1955. In March 1955, the B1 became the first production standard European fighter to achieve more than Mach 1 in level flight. The Super-Mystere has low-mid wings, swept-back at 45°, with dog-tooth leading edges. The tail-surfaces are swept with the tailplane mounted part way up the fin. Control is by conventional ailerons, rudder, and all-moving tailplane. Split trailing-edge flaps are fitted. Air brakes are on each side of the rear fuselage. The tricycle undercarriage has a single wheel on each unit. The main wheels retract inward into the fuselage and the nose wheel retracts rearward. The first of five SNECMA Atar-powered pre-production Super-Mystere B2s followed, flying on 15 May 1956. 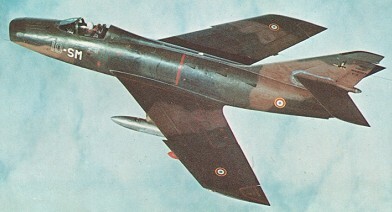 Production was ordered for the Armee de l'Air, the first series Super-Mystere B2 flying on 26 February 1957, and a total of 180 were built of which 36 were bought by Israel in 1958. 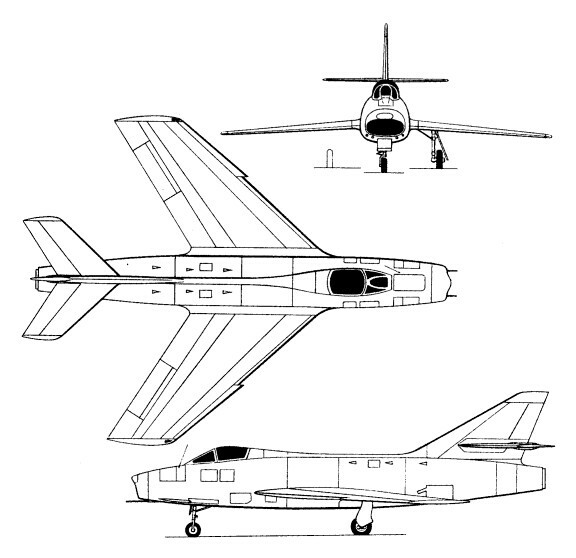 The Super-Mystere B2 was powered by an Atar 101G-2 or -3 of 3375kg dry thrust and 4460kg with maximum afterburning. Armament consisted of two 30mm cannon and 35 internally-housed 68mm rockets (the rockets being discarded at an early service stage), external loads including two Sidewinder AAMs, two 400-500kg bombs or rocket pods. The Armee de l'Air Super Mystere were phased out in 1959 in favour of the Mirage IIIC. Two examples were completed as Super Mystere B4s in 1958, these having Atar 9B engines rated at 6000kg with afterburning. During Israeli service, the Super-Mystere B2s were re-engined with a non-afterburning Pratt & Whitney J52-P-8A turbojet of 4218kg. In 1977, 18 of these aircraft were sold by Israel to Honduras where the last surviving examples were withdrawn from service in 1989. External load: two Sidewinder AAMs, two 400-500kg bombs or rocket pods.